Be mesmerized by awe-inspiring special effects and music as you soar through space and time in a magical adventure! Purchase a value snack combo and enjoy an evening snack while watching the show! easy to redeem tickets! hassle free! i personally enjoyed the show . 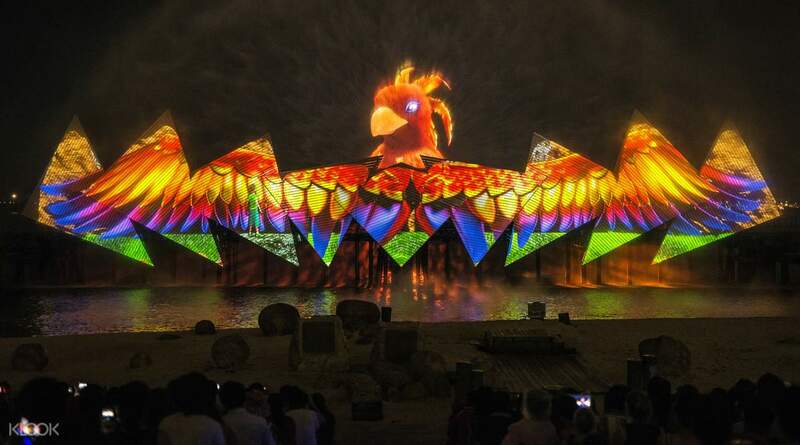 Get open-dated tickets to the award-winning multi-sensory show, Wings of Time at Siloso beach, Sentosa Island in Singapore. 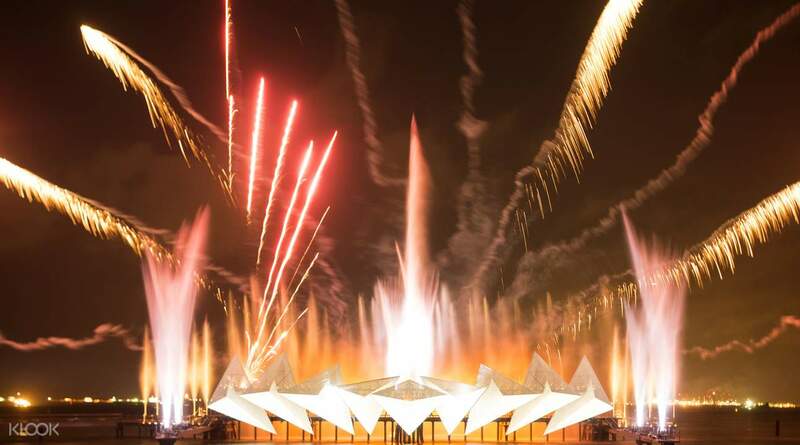 The epic production brings together 3D projection mapping, state-of-the-art laser lights, robotic water fountains and pyrotechnics to tell the tale of Shahbaz and friends. The story follows the mythical birdlike creature and his two human pals as they journey across breathtaking landscapes through time. Choose between standard and premium seats, and redeem your ticket within three months of your selected show date on the calendar - completely flexible, perfect if you don't have your final travel dates or plans yet! A magical experience for both children and grown-ups, weaved into a tale of friendship and courage and awe, Wings of Time is a must-see while in Sentosa! great show with spectacular visual effects. I redeem my tickets 40 min before the show to get front seats to record the show. There's a lot of people and many seats available. It is best beautiful night show on beach side and an unique experience which cannot be missed. Highly recommended. great show with spectacular visual effects. I redeem my tickets 40 min before the show to get front seats to record the show. There's a lot of people and many seats available. 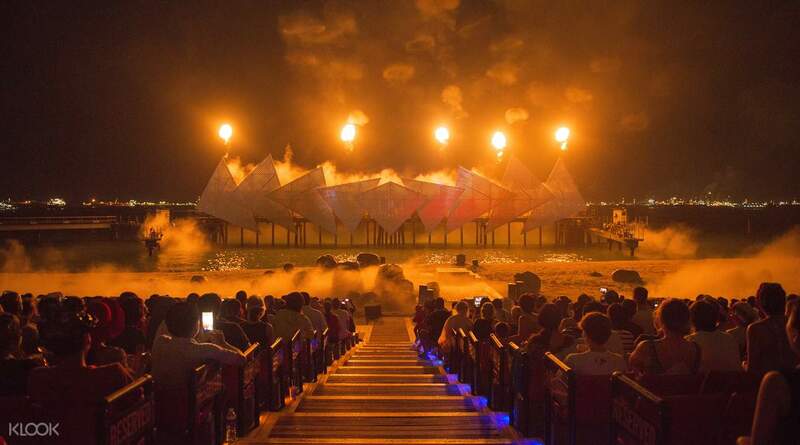 It is best beautiful night show on beach side and an unique experience which cannot be missed. Highly recommended. 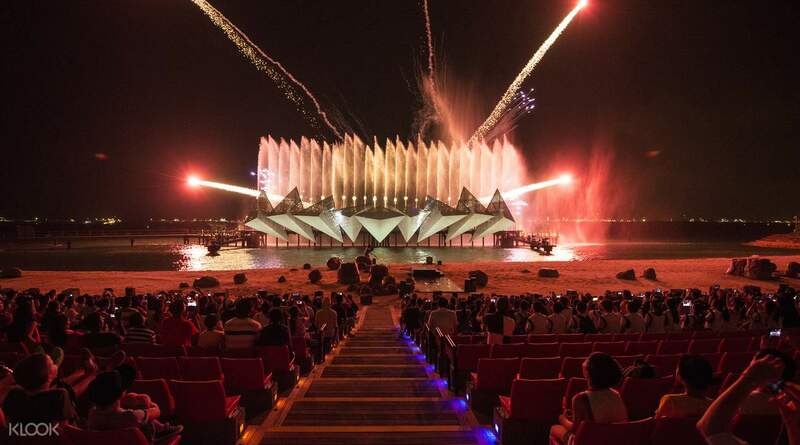 The best water show that ive ever seen. Klook voucher was hassle free to booked and we paid for premium seat. Klook is the best for this attractions. All attraction in Singapore i booked only at klook no hassle and so convenient. The best water show that ive ever seen. Klook voucher was hassle free to booked and we paid for premium seat. Klook is the best for this attractions. All attraction in Singapore i booked only at klook no hassle and so convenient. Great experience. Projecting images on the shower of water was a completely new thing. It had mixes of water, fire, light and sound. One thing I felt was that the show visuals were not related to the story that was being told. But still it is a one time watch. Great experience. Projecting images on the shower of water was a completely new thing. It had mixes of water, fire, light and sound. One thing I felt was that the show visuals were not related to the story that was being told. But still it is a one time watch. It was a great way to end our trip. The show was amazing!!! It was a 20 minute show, there were at least 2 min part that was boring. No light at all, I think comparing it from other videos, some part of the show was missing. But total experience was great! It was a great way to end our trip. The show was amazing!!! It was a 20 minute show, there were at least 2 min part that was boring. No light at all, I think comparing it from other videos, some part of the show was missing. But total experience was great! Wings of time is worth every penny for what you spend. The show has two timings 7.40 and 8.40. Be prepared to reach as early as 30 mins before the show to get good seats. Wings of time is worth every penny for what you spend. The show has two timings 7.40 and 8.40. Be prepared to reach as early as 30 mins before the show to get good seats. Awesome show of lights,music and fire works. Definitely worth the money. Tip: Go to the show at least 30 mins to 45 mins before so that you can get seats in center. Awesome show of lights,music and fire works. Definitely worth the money. Tip: Go to the show at least 30 mins to 45 mins before so that you can get seats in center. The open dated ticket is convenient so you can choose any specific date that is best for you. Go early so you can get better seats. Premium seats isn’t necessary in my opinion. The open dated ticket is convenient so you can choose any specific date that is best for you. Go early so you can get better seats. Premium seats isn’t necessary in my opinion. We have seen many types of light and sound show, but Wings of Time is of another level. Just loved the show. Show is of around 15 to 20 mins, but the concept, story, fireworks were very good. We have seen many types of light and sound show, but Wings of Time is of another level. Just loved the show. Show is of around 15 to 20 mins, but the concept, story, fireworks were very good.